PB Earthworks provides the best earthmoving in JImboomba, Parkridge, Cedarvale, Gold Coast and Brisbane . Cosmos stands on the pillar of the lively and lonely planet earth. Earth moving specialists in Brisbane create the right premise for all types of construction sites. Wide variety of equipment available on hire along with operators knowing the way around makes professionalism truly unmatched in the domain of excavation services. Vast experience in the construction industries and renowned service architecture makes us the number one choice for diverse client communities. Our fraternity is unparalleled in providing equal merited grounding services both for home owners and construction builders. Pleasant working atmosphere makes the operation blend profit and goodwill in equal amounts. Irrespective of big and small excavation projects, proper usages of tools make the complex work truly so very easy. PB Earthworks is committed to offer client community a high level of earthmoving service in Gold Coast, Brisbane. Proper tools are also present to get an excavation project up and running. Technical expertise makes us the right choice of the partners needed in effective project management. Ability of doing the job is in equal level both in commercial and residential premises. Work ranges of moving small piles of rubble to bulk ground works are done with sheer professionalism. Unparalleled Earth moving service track record makes our organization famed all over the country. Quality services make us called by clients again and again along with lots of references from past customers. Hassle free solutions ensure that our organization is a highly reputed one in terms of perfection of services. For suitable excavation, right kinds of tools are extremely necessary. Peace of mind is guaranteed through meeting all kind of client needs aided by the correct mode of equipment. Honest and reliable professionals make every sort of challenging task completed in a swift manner. Before assigning or hiring our organization for a certain project, personnel are sent to the site to look at the exact needs. Thereafter we offer a realistic quoting which helps the clients assess the costing before signing the contract. In terms of service, clients depend upon our organization due to sheer commitment towards trust driven operations towards clients. 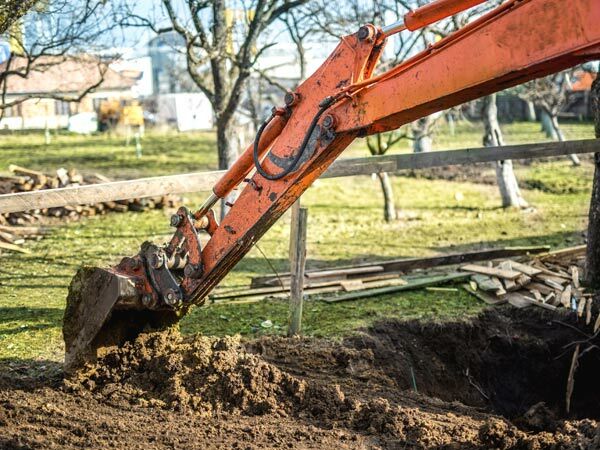 If you would like to know more information on any of our earthmoving services in JImboomba, Parkridge and Cedarvale, please don’t hesitate to contact with us.